Flattering ruffle skirt with covered buttons and elastic high waist. 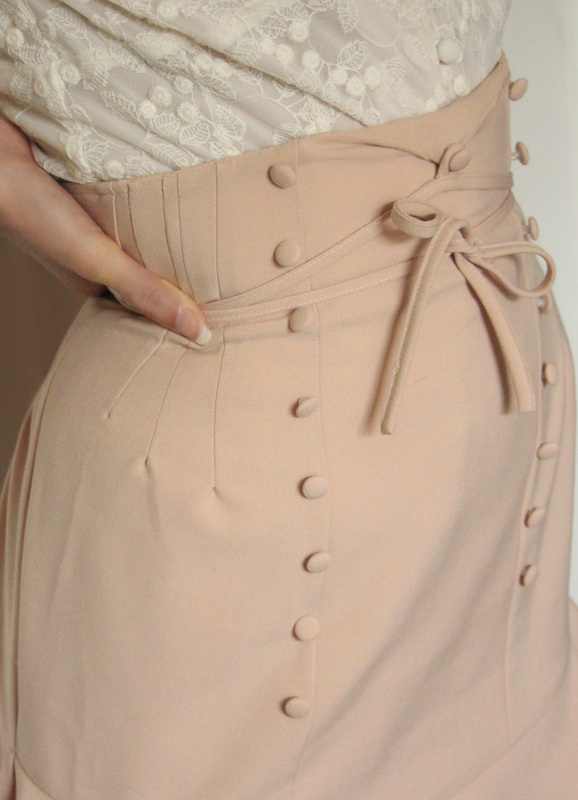 Wrap the belt-strap around the waist ( it´s hiding eventual marks from the inner garment ) or wear the skirt with the strap around your neck, it´s keep the ultimate high waistline in place. The stretchy viscose-poly fabric is colored in a pink champagne shade.